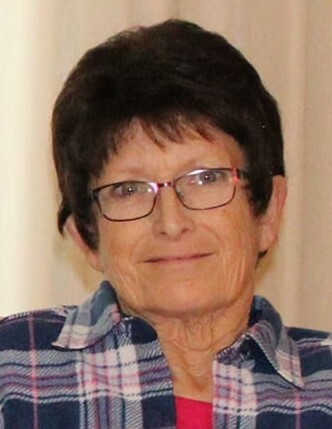 Lois M. Hietala, age 70, resident of Michigan, ND, passed away Saturday, November 24, 2018, surrounded by her family at her daughter’s home in Adams, ND. Lois Mae Wilkison was born September 13, 1948 at Fairview, MT, the daughter of Pete and Louise (Thornton) Wilkison. She was baptized and confirmed as a member of the Nazarene Church of Fairview. She worked most of her youth on a dairy farm and horse ranch, as her father died before she was 16 years of age. Lois graduated from Fairview High School, then attended Billings Business College and also the College of Coiffure Arts. Lois married Kenneth Hietala on July 2, 1966 at Fairview, MT. They lived and raised their family in the Michigan area. She became a member of the Michigan Lutheran Church, but remained a stern believer in the Nazarene teachings. Lois was the administrator of Memorial Rest Home at Michigan for 21 years. She then purchased and operated the Lakota Beauty & Barber Shop for 8 years, while also serving for 16 years as the Licensed Cosmetologist at the Lakota Good Samaritan Center. Lois very much loved her girls & son-in-law, Stanna Jo Flom of Harwood, ND and Michaela Raye (Kevin) Misialek of Adams, ND; also her grandchildren, Tanner & Taylin, and BreAnna & Kendra Shae. She is also survived by a sister, Marie Hess; an aunt, and many cousins, nieces and nephews. She was preceded in death by her parents; sister, Beverly Scharosch; husband, Kenneth; and granddaughter, Kelsey Mae Misialek. The Memorial Service for Lois will be held at the Michigan Lutheran Church, Michigan, ND, on Wednesday, November 28, 2018 at 10:30 a.m. Burial will be at the Enterprise Finnish Cemetery. Visitation will be held at the Aaker Funeral Home of Lakota on Tuesday, beginning at 5:00 p.m. with a Prayer Service at 7:00 p.m. Visitation will continue at the church on Wednesday, from 9:30 a.m. until the time of service. Memorials are suggested to the Enterprise Finnish Cemetery, PO Box 204 Brocket, ND 58321.